Even when every digital marketer out there is singing SEO and PPC, email marketing continues to be almost as important as it used to be more than a decade ago. Mine is a multi-site operation and my business depends mostly on the volume of lists I can build for each site. GetResponse is the ideal email marketing service provider for me and my business depends on it to drive my sales. This review is to compare GetResponse and AWeber because that is the closest service that has come to it. I would say that both stand almost equally in terms almost all the features. This comparison between the two is a tribute to both these powerful brands in the email marketing domain. Both GetResponse and AWeber deliver the reports in easy to understand and appealing graphs and tables. Both offer properly formatted reports that make it easy to get the desired information. The standard stats available with both including open rates, clicked links, and unsubscribe rate. But they also offer equivalent number of additional reports. They also support ROI findings using a track code on my sites. The number of reporting options are overwhelming in both. But GetResponse’s intuitive email intelligence makes things smarter. I have been using both the services for years – I switched to GetResponse after 2 years. And I have noticed that it has a slight edge over the other. This is one of the factors where GetResponse is easily the winner. AWeber didn’t allow me to create landing pages. On the other hand GetResponse’s landing page template/editor makes it so easy for you to create pages that ideally suit your brand. 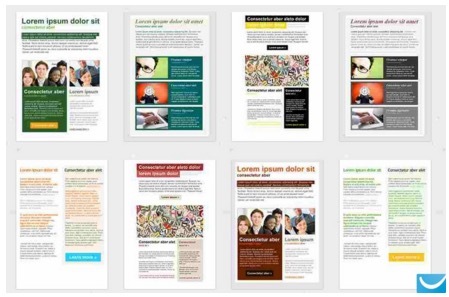 The service has more than a hundred templates and all of them are customizable. There’s no need for any complex coding. Besides, they are all responsive and I can A/B test them before they go live. I outsource most of my list building activities. Some days I am adding over a hundred new members. That gives you a pretty good idea of how large my email lists are. The more complex thing is that these lists are added from multiple sources and services. So importing them is a big task. With AWeber, it is too difficult to import my lists. It requires that all the subscribers have to opt in one more time before they are added to my AWeber list. That is a cumbersome process. I used to lose a lot of my subscribers because of this. That was no longer the case once I moved to GetResponse. There is no need for re-opt in. I can import from almost two dozen places. It takes a few minutes before my lists are approved and displayed. Both these email marketing providers are the top names when it is about delivering my emails into my subscribers’ inbox. Both have deliverability rates higher than 90% and this is one department where both are equally pitched against each other. There have been rumors of AWeber having some issues at some point with deliverability. But I don’t think there is much to it. I have used both and I have enjoyed high amount of deliverability rate. Since I have moved onto GetResponse and have not been using AWeber for the last 2 years, I can’t say much about these rumors. This is another section where both GetResponse and AWeber stand neck to neck. Both offer almost same number of templates with almost similar quality and looks. All GetResponse templates are responsive. So whichever template I choose, all of them are rendered optimally on any type of device that my target audience may have. AWeber also helps ensure the same level of responsiveness. But my current email marketing service provider takes things a step further. I can get previews of all my newsletters before they are sent out. So I am able to view my emails on different desktop and mobile platforms before I click the send button. This allows me to make changes based on the tests. For me it also means delivering the best-possible copy – all the design, layout, images and text are tested for optimal engagement and results. If an image I added stretches vertically when the email is opened on mobile, I will already know about it. This not only helps me improve my conversion rate, it also saves me time. 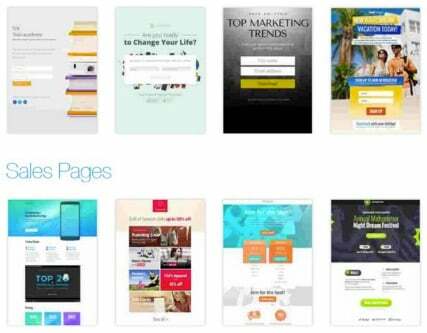 Both these email marketing providers offer package based pricing structure. The prices may seem to be complex when you take a look at them the first time, they depend mostly on how many subscribers you want develop. With me the volumes are too high and the slight price differences between the two don’t make much sense for me. But I know that price is a big factor for many others. If you want to build up to 2,500 subscribers, AWeber charges $29 per month. GetResponse, on the other hand, costs $25 on a monthly basis but around $20 if you sign up for the annual package. Similarly, the price for up to 5,000 subscribers is $49 with AWeber and $45 (~$37 per mo. annually) for GetResponse. For me the volumes run up to 10,000 and I pay around $53 to GetResponse. With AWeber I used to spend a decent $69 per month. So the price may not seem to be big on a monthly basis but you end up saving hundreds of dollars annually. Both the email marketing services offer a 30-day free trial. GetResponse has some special discounts on annual sign ups that help reduce the overall costs. Overall, with GetResponse you get a better email marketing program at a cheaper price. So there is not much you should think of as an alternative. When it comes to interface, AWeber can seem to be slightly complex too. The ability to preview my newsletters before sending them is a big advantage with GetResponse. This helps save on the extra efforts and time. Both the email marketing services offer a wide range of built-in tools for building, maintaining and communicating with my email list. Both have tools which are quite easy to use for anyone. They are ideally suited for everyone, even if you are not tech savvy. 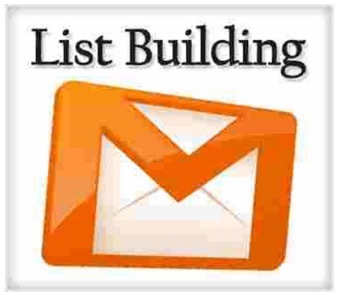 Effective list building and management are also great features in both. GetResponse also helps create custom responsive landing pages using the existing templates or my own set of images and graphics. AWeber needs to work a lot in that department. GetResponse has over 350k users and AWeber almost a third of that. So it is easy to see which one offers you the edge. Besides, it seems a little ironic that you have to cough out a little more for AWeber’s plans. So overall, GetResponse is my recommended email marketing service without any hiccups. Blogging Definition – What is the Meaning of Blog & Blogging?